You are not alone. Many of your questions have been asked before by other small groups and small non profit organizations considering group health insurance for their overseas workers. 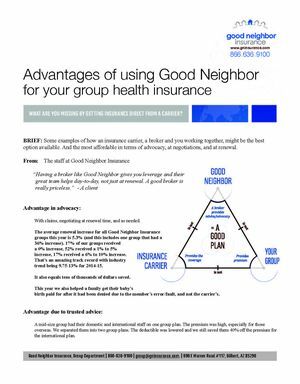 One of the reasons people prefer Good Neighbor Insurance is that rather than being “sold” a group health plan, we assess and assist each group immediately, even with affordable individual plans and advice as they grow and are ready to choose a group health plan. 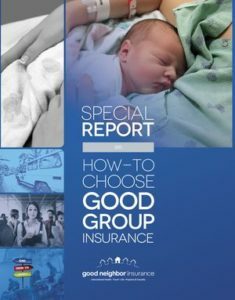 By knowing your group now, we can anticipate any current births, retirements, issues with claims, or other concerns to help you get the best price now and in the future. 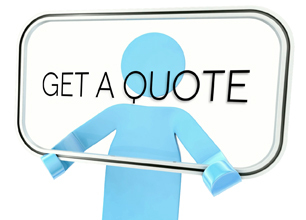 We also make plans more affordable by custom tailoring each plan to fit. We rarely ever offer an “off-the-rack” health plan that causes you to pay for lots of things your people may not want or ever use. Most brokerages only do this for their largest clients, but at Good Neighbor we do it for all of our clients. And they reward us by referring us 2-to-1 over our competition. We also save you time with administration, so you can focus on more important tasks. We also understand that raising money is a full-time job for many organizations. That is why we do many additional things to keep your rates low and minimize costs so that you can better steward your funds. We have worked overseas ourselves and with non-profit, cause-based agencies so we understand where you are coming from when you are simply trying to bootstrap and survive those first few critical years. Sometimes splitting up domestic and international staff makes sense or even having two overseas plans. 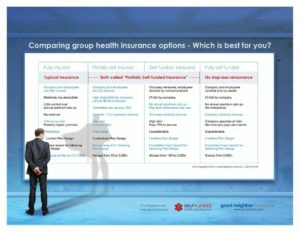 We have a guide to saving money on group health insurance here written to help groups that are overspending. It uses practices we have been honing and following for years to save our groups the most money possible. We don’t think you’ll need to sell it to your people, but see a group plan as one more way you can strengthen caring for each family, growing the organization and protecting each person overseas better. 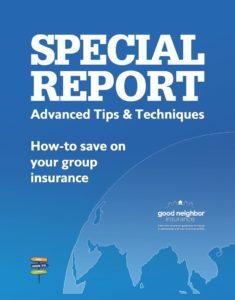 As your members realize that they themselves could be the victim of becoming uninsurable or of being overcharged based on an unforeseeable claim or chronic health condition, they will hopefully understand the importance of grouping together to protect one another against these types of practices. Unlike new ACA health laws in practice in the USA, carriers are not forced to accept those with high health claims on overseas plans. Do you have to have 100% participation? No, if you have insurance through a spouse at another workplace, or have a couple on Medicare. There are options and reasons for not having 100% participation. We can discuss the options with you. We are proud of our track record advocating for our groups. In 2015, even with one group with extremely large claims, our groups averaged a 5.3% increase which was way below industry standard/trend. One advantage to having Good Neighbor as your broker is our ability to use our relationship with the carriers, our expertise and our volume of business, to help you negotiate a better rate than you could get on your own. Another way we help you at renewal is by wise plan design at the start and help using your plan throughout the year so that you face few(er) surprises at year-end. The Group department at Good Neighbor Insurance has been helping small groups just like yours for over 17 years. Our focus and commitment in that time has been small(er) groups and helping them save money and get the same level of care and personalized service of larger groups (300+). Ask around. Those working overseas know us. Organizations working overseas know us. Ask the carriers themselves – Especially those who deal with smaller group numbers. There are reasons why we not only have a great reputation among smaller non-profit organizations needing health insurance and small businesses with an international presence, but also why we consistently win Agent of the Year or have the top 1st, 2nd, or 3rd sales with many of our carriers. We start by listening. And we continue to listen. We can help if you are overworked and want us to “take over” and do it all for you, or if you simply want the best price and some strength negotiating and can handle everything else on your own. Either way, we realize you have a lot on your plate so we are here to help. Fast, personalized answers. No more anonymous phone trees! This is what we want to hear! Good Neighbor simply has more options as you grow. Why be locked into one carrier or a broker that only specializes in one carrier’s plans? We have approximately 12 carriers we work with to offer flexibility, competition, and more benefits without ever having to start all over from scratch. Need political evacuation? No problem. Considering switching to a self-funded or partially self-funded plan in the future? We are already set to help you when you are ready! We don’t expect you to be an expert. Or even know all the right terms. Organizations, even non-profit groups are being faced with more and more lawsuits over liability issues. More so, you want the best coverage possible for your people living and working abroad. Rather than trying to manage multiple health contracts with multiple benefits and exclusions, we can help bring everything together under one roof, keeping you, and your organization, safe and secure. Many of our groups are working in sensitive countries or places where war and terrorism exist. Or kidnapping. We understand these types of unique security challenges and can help.